Of all of U2's hit singles I think that I Still Haven't found What I'm looking For is one of their most beautiful and soulful songs. One of the first concerts that I went to was The Joshua Tree tour when they played in Croke Park. I just looked up the date and it was in June 1987 when they played two dates there. If you were at either of those concerts the set list and support acts are listed here. In 1990 The Scottish band The Chimes covered I Still Haven't Found What I'm looking For and it got to number 6 in the UK singles chart. It was the same chart position that the original version by U2 got to in 1987 when their single was first released. The Chimes vocalist was Pauline Henry and the other two group members were Mike Peden and John Locke. Bono has been quoted that The Chimes version of I Still Haven't Found What I'm Looking For is one of his own favourite versions of the song. Listening back to it again today it really is a gorgeous version. It is a great version of a classic song. It just reminds you of a place and time. Both Pauline's voice and the production of the song are so beautifully balanced. 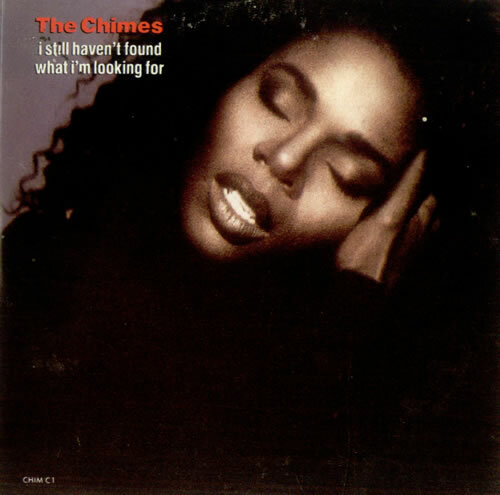 In 1990 The Chimes also had two American Dance chart number one singles with 1-2-3 in February of that year and Heaven a few months later in April 1990.